One of the major head of damages in any car accident case is the injured party's loss of income, or loss of competitive advantage in the workplace. 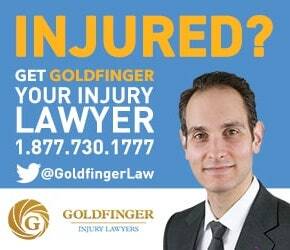 This is especially important to maximize an accident victim's recovery because damages for pain and suffering are capped in Canada. There is a relatively scientific method towards making income loss calculation. Actuaries, economists and accountants are often hired by personal injury lawyers to calculate past losses, and to project future losses. Age, life expectancy, past income, education, training and experience are taken into consideration. Random figures are not just thrown out to satisfy this claim. Past income must be shown on your tax returns . If you didn't report it, you can't claim it. It's important to establish a pattern of steady income on your tax returns. One year making a lot of money, and the next year making little money will make the task of calculating your past earnings more difficult. They will need to be averaged. People often believe that their case is worth millions and millions of dollars. They fail take into consideration that there is a cap for damages on pain and suffering at around $317,000. If you also were not working and on disability in the years before your accident, the only other real source of damages for your case may be the future care costs. But, if all future care costs will be covered by OHIP, then getting the valuation of the case up to the millions and millions of dollars which the injured party believes that he is entitled to is simply unrealistic. You can't just make up a dollar figure in your head and expect for it to be awarded to you by a judge. There is method to the madness of quantifying personal injury cases. Take the example of a 66 year old construction worker who was planning on retiring at 67. He was unable to work following his accident. Because of the accident, he missed out on 1 year of work, and then at the age of 67, he retired and claimed Old Age CPP Benefits. The accident victim earned $50,000 in the three years before his car accident. Accordingly, his past income loss claim would compensate him for $50,000 representing his year of lost income, and there would be not future income loss claim because he hit the age of retirement following the accident. Take the example of the 40 year old school teacher who earned $55,000/year before her accident. She will never be able to work again on account of a spinal cord injury sustained in a roll over car accident. The teacher would have worked until age 67 and recovered benefits. That's 27 years of lost income if she's never able to work again. 27 years of income at $55,000/year amounts to a past/future income loss claim of $1,485,000. This figure does not take into account raises, the value of her benefits, or the present value discount. These figures would need to be calculated by an expert. The above figures alone only account for loss of income damages. They do not account for damages for pain and suffering, future care costs, attendant care, housekeeping and home maintenance, out of pocket expenses or Family Law Act Claims.